You go on vacation to relax and unwind. To get away from the daily stresses of life and when planning for it, the last thing you would want to think about is something going wrong along the way. Many bad things can happen when you’re on vacation which can ruin the whole experience, but the good news is you can take steps to minimize or even eliminate them. You just need to put a serious effort into planning and preparation, and once you do, you can be confident that things will go as smoothly as possible. It is impossible to reach a far away vacation destination without a series of connecting trips through flights or those done on land like train trips and tours in coaches. 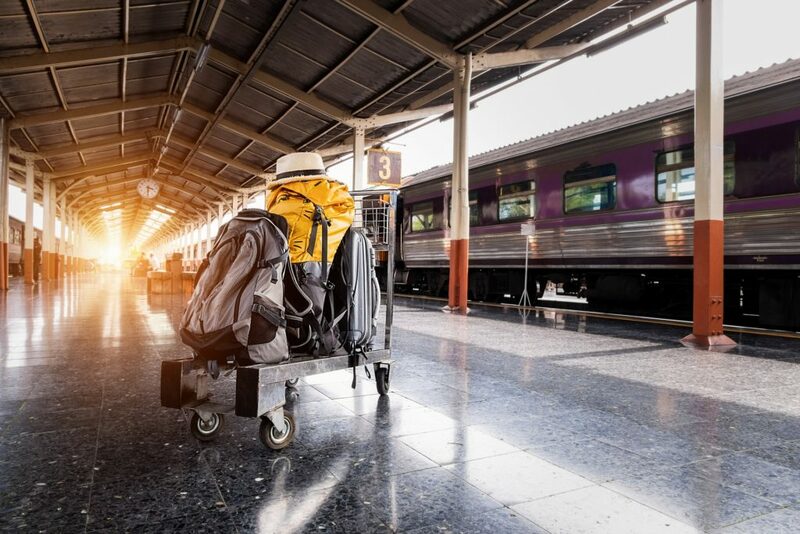 Your connections are essential to ensuring the success of the trip, but they can also become a prime cause of stress especially when delays or cancellations happen. It is hard to ignore the domino effect that a single delay or cancellation can have to the overall travel experience so keeping these connections to the minimum is crucial. But no matter how ready you are, you can still be affected by delayed flights. They do happen, and in case you find yourself in that situation, remember to check Fairplane.co.uk for compensation possibilities. Some airline companies offer compensation in the form of food, drinks or even accommodation whenever delays happen. Now, that can definitely lessen the stress and make the whole ordeal more tolerable. ‘Time and Chance Can Happen to Anyone.’ Yes! It does and it will even to the most prepared traveler. There is always the possibility of stolen luggage, a bag being lost or your pocket being picked by a street thief. So you need to make sure that you’re keeping a close eye on all your stuff. If you carried multiple luggage with you, it is wise to distribute your belongings and valuable things between them. Doing this ensures that you still have the stuff that you need even if one bag goes astray. Keep cash and essential documents somewhere that’s safe preferably a separate bag that you can bring with you wherever you go. The last thing you want to happen is losing your passport, and all your cash so keep these things close to you at all times. Having a digital currency as a backup like Apple Pay, Paypal and others is also a good idea since it gives you access to your money when all your cash has been stolen. You won’t be left stranded or hopeless when you have these backup sources of cash with you. ‘Don’t Keep All Your Eggs in One Basket’ as they say and when it comes to traveling, keeping this adage in mind is a lifesaver! Don’t ruin the whole purpose of your vacation by squeezing too many activities into a single day. Take time to relax and unwind. Accept the fact that you can’t see everything and experience everything all at once. If you force this during your travel, then you’ll end up exhausted and burned out. If you jumped from one time zone to another during the trip, remember to give yourself some time to recover from the jet lag. Giving your self this luxury will ensure that you’ll be ready to hit the road hard the next day. Also, keep an eye on warnings about extreme weather or temperature changes since this can affect your overall condition especially if you’re not used to the climate in the place you are visiting. It’s a Vacation, Fill it With Good Memories! Lastly, when planning your dream vacation, don’t forget that it’s all about fun and happy memories. It is not about the sites or the photos or the number of places you’ll be able to visit. It is about relaxing and running away from stress. Enjoy yourself and don’t let small bumps ruin everything. It all depends on your mindset and your being prepared. Two decades ago, purchasing travel insurance have sounded like a warning to most consumers. 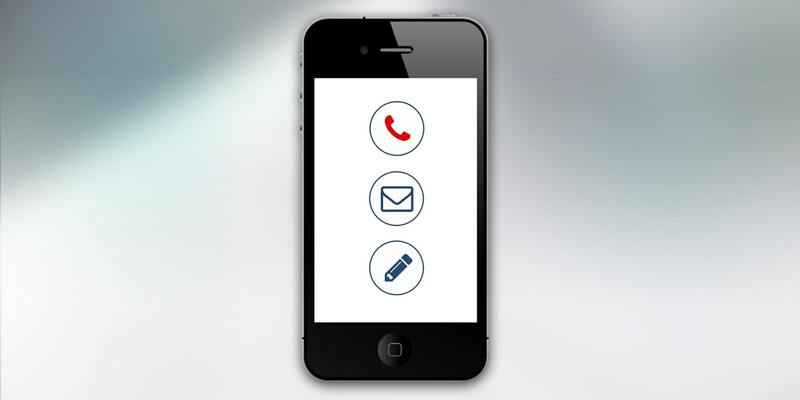 No travel or cruise agent would mention the need for such whenever offering their service. It used to be a forbidden word which if mentioned was sure to send customers running in the opposite direction. But in the modern world in which we live in, all the travel, cruise, and flight catastrophes that are getting media coverage as well as those horror stories about trip and flight cancellations, people are starting to think about getting travel insurance. In this type of coverage, you need to be able to weigh the value of your investment when compared to the price of the insurance itself. If you’re targeting budget flight tickets, the ones that are on super sale to destinations like Atlantic City, you won’t be needing this kind of coverage. However, if you paid $10,000 for the Mediterranean cruise, purchasing travel insurance is recommended. Whether you like it or not, there will always be unexpected circumstances that can happen like getting sick, an accident, death in the family and many others which you would need insurance for. What if the cruise suddenly changes its course or excursions change? And what if you get sick during the journey? If this happens, be sure that you purchase coverage from outside insurance instead of getting it from the cruise’s brand as their insurance vanishes once their cruise brand goes out of business. Don’t ever think that just because you have health insurance in the U.S., you are automatically covered wherever you go. This is not the case especially if you travel out of the U.S. on a cruise. Most cruise ships that leave from the U.S. ports are based in other countries which means that the health insurance that you have will not be honored if you get sick while on the cruise itself. Now, this is a red flag that you need to be mindful of. On other possible circumstances especially some emergencies that require you to be flown back to the U.S. for treatment, you will not be covered by your health insurance as well. And if you get admitted to the hospital while in an underdeveloped country, you will be accepted by healthcare providers without being concerned about coverage. They’ll just keep you until you pay the bills. That’s why it’s important that you get travel insurance policy which covers health. When you shop for travel health insurance, look for the one that offers initial treatment and is capable of sending trained and medically-equipped staff no matter where the emergency happens. And more importantly, it must also allow you to choose the medical facility and even the doctor of your choice. These are the critical details that you need to watch out for when shopping for travel health insurance coverage. You’ll be glad to know that most travel or cruise cancellation and interruption insurance policies already cover damaged, stolen or lost bags. This is one of the essential things that you need when you’re on travel. Warsaw Convention covers on a per pound basis for checked bags at $9.07. For passengers and unchecked bags, they cover only $400. The U.S. Airlines as of February 28, 2007, only accepts liability for damaged or lost bags up to $3,000, an increase on a per passenger basis from the $2,800 current limit. That might sound good at first until you know that furs, jewelry, and other negotiable financial documents are excluded. Anything that’s worth something is excluded. And there’s this ‘depreciation’ which they really love. One more thing, the $3,000 limit isn’t per bag; it’s on a per incident basis. So what you can do is to ask for what is called ‘excess valuation’. You can do this at the ticket counter. Doing this will add up to $5,000 coverage with a rate of around $1 for every $100 value. Choosing to purchase this would mean that you need to describe everything that’s in your bag. It will require more time but still worth it! Should You Buy It or Not? First to think about is the value of your investment and compare it to the amount you will be paying for the insurance. Also, think of the place you’re going to visit and do research on what kind of country it is. Is it underdeveloped? See what mode of payment you’re going to use to pay for your airline ticket. If you used a credit card and the flight gets canceled, your insurance will cover it since you paid for a service that you did not get. If possible, look for third-party insurance like a cruise travel insurance that is not in any way affiliated with the travel company you’ve arranged your travel with. Be sure that it is licensed in your country or state. Delays in cruise or flight schedules may also happen, and if you want to cancel because of a single event of a delay, you can’t do so because most policies only cover cancellations if more than half of your vacation has been delayed. If you’re looking for the best quotes on travel insurance, you can find one by using Health Insurance Finder where you can filter by preference and see the best comparisons on different insurance products available for you. It is impossible to go on vacation with the family without considering to get the service of a good car rental firm. It is easy to go without it when you’re traveling alone, having the whole family to tow is a different story. If you want a successful trip and a journey that’s full of wonderful memories to cherish, doing things right in terms of renting a car is a must. Here are four useful tips that I’d like to share to make your car rental and overall travel experience as excellent and hassle-free as possible. Waiting to reach your destination before doing research on the nearest or the best car rental company won’t work no matter how excellent your research skills are. Chances are you’ll be so distracted and in a rush all the time. You will not have the luxury of time which you enjoy when you’re at home. So be sure to do research in advance and check on as much car rental providers as you can so you can get the best service and as well as excellent deals. If you don’t need to get the service of a car rental right after arriving at your destination since most hotels offer transportation for guests arriving at the airport, it will be a good idea to research at your hotel room instead. This is an excellent way to save on costs while on the trip. After finding the best car rental company, the next step that you need to go through is booking the service in advance. Doing this will take one thing off from the list of stuff that you need to worry about during the travel. Avoid the mistake of booking a car rental upon arriving at your destination. This will save you from a host of bad experiences like ending up with a long list of hidden fees that you need to pay. 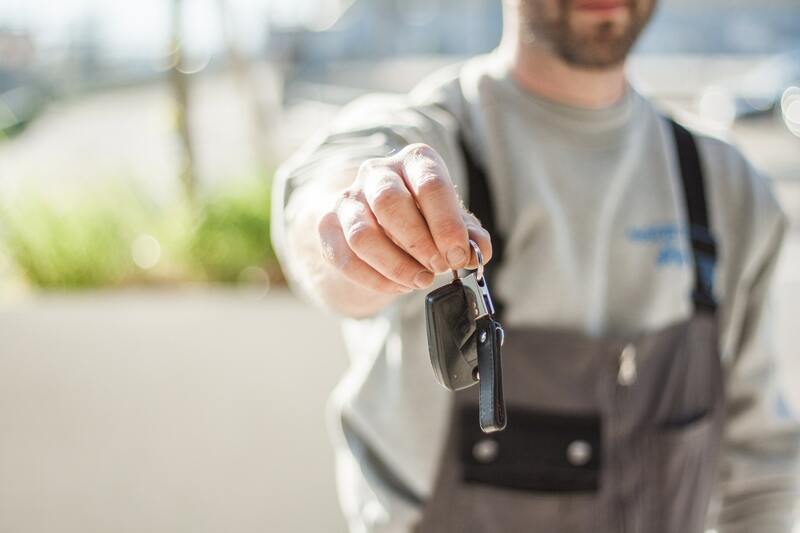 This aspect of renting a car is mostly ignored, but it’s one of the most important things that can save you from a lot of mess. Don’t assume that nothing can go wrong because whether you like it or not, you can’t be sure about it. So being ready to face anything wrong that can happen is the best that you can do. But before signing the car rental insurance, be sure to check your on your credit card and personal vehicle insurance policy as most of the time, it covers car rental as well though, in the case of credit cards, the coverage being offered is mostly secondary. Different countries have varying rules and regulations when it comes to car rental services. Though most of these regulations sound the same and others seem close to each other, you still need to know the details to avoid major problems once you get in the car and start your journey at the place you’re planning to visit. There are countries that require International Driving Permit which you need to secure before leaving your country of origin. That’s the reason why researching and knowing the rules and regulations very well is essential. The last thing you want to do is arrive at the country but end up not being able to drive because you don’t have enough documentation to do so. Renting a car doesn’t have to be a hassle especially when you’re supposed to enjoy on the trip with the whole family. 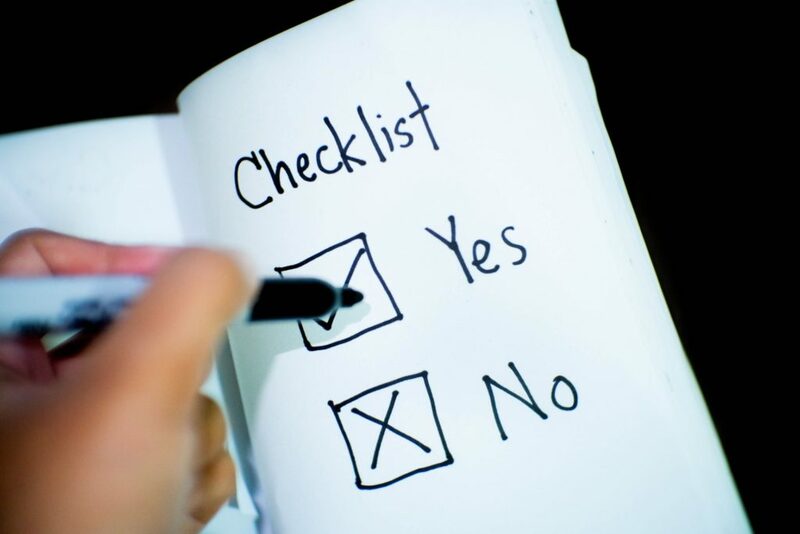 Making sure that things will go smoothly requires due diligence on your part days before leaving for the trip. Yes! It will require time on your part but every second you spend planning on this aspect of the journey will all pay off in the end! Traveling with kids can be challenging. It’s an entirely different experience than when you’re going alone, or it’s just you and your partner together on a romantic trip. When you have kids on a journey, you’ll have your fair share of meltdowns which adds to the stress that you need to deal with in the entire duration of the trip. But did you know that traveling with your little ones can also be enjoyable? With proper planning and guidance, the whole idea of traveling as a pack can be a beautiful and memorable experience for everyone! If you’re traveling alone or as a couple, the sky is going to be the limit when it comes to the places that you want to visit and the hours or days you’re going to spend in a particular site. But if you are with kids, you need to plan these things out carefully. Pick at least 2 or 3 locations to visit and be sure to explain to them what every place is all about. Children are curious creatures, and one way to make the journey become a memorable one for them is by feeding their curiosity with facts or bits of trivia you found on Google. Whether you like it or not, the journey is no longer just about you. It is about the kids as well so lower your expectations and make some ways and means to turn the journey into a ‘kid-centric’ one. There’s nothing that beat someone who has done all the needed preparations. Someone who’s ready for any challenge that comes along the way. So take the time to plan out what to do when tantrum strikes or for that sudden toilet stop. Be prepared with quick solutions or alternative activities whenever your little ones get bored in the airport while waiting for a delayed flight or somewhere between points A and B during a long trip. Set aside ample time to plan things out or if you already find yourself dealing with the situation, take a deep breath, compose yourself and think of the best thing to do to calm down the kiddos that are starting on a major meltdown. When going from place to place which will require the family to spend the night or two at the next location, it is always a good idea to book hotel rooms or any other type of accommodation ahead of time. The last thing you want to do is arrive at the destination only to find out that there are no rooms available and you need to hit the road once again with exhausted toddlers starting to scream in the backseat. Doing this will not only save you from stress, but you’ll also save time and money which you can then spend on more productive and memorable activities. Kids want to be busy all the time and if you’re on a long trip, you’ll know that this isn’t a good behavior to bring along with you. You won’t enjoy a journey that’s filled with memories of your kids getting lost or injured. So be sure to arm yourself with some child-friendly apps that are widely available on both Android or iOS platform. This would help keep your kids busy at the backseat while you’re focusing on the road with hubby. Just be sure to set limits on their screen time and think of some physically engaging activities which the family can enjoy together. It doesn’t have to be a bulky box or something; you can have a particular compartment in your bag that’s dedicated entirely for first aid items. And of course, be sure to bring with you some medicine. The conventional fever medicine like Calpol is essential. Kids tend to get sick more often when traveling so carrying necessary medication would help. Other items that you need to bring are plasters, wipes, antiseptic, thermometer and even sting treatments if you’re going to be at the beach. It is true that traveling with your kids isn’t easy but with the right preparations and some smart solutions and decisions along the way, you’ll be able to ensure that the whole journey is worth it for every member of the pack. It takes a lot of effort but if you do it consistently, it’ll easily become part of your routine whenever the whole family goes on a trip. Traveling for the first time can be intimidating. You’ll be getting a wave of mixed and often conflicting emotions and ‘what ifs’ that can only be calmed down and answered once you’re already on the trip. It is wise not to set too many expectations at the start so you can avoid plenty of disappointments later. Traveling is a hobby that’s hard to master. It’s not like the other hobbies out there where you do the same thing over and over again. When you travel, you do different things every time as you visit new places! Nothing could have prepared me the first time I traveled and now with over seven (7) years under my belt going through long flights, tedious hikes and countless unexpected things happening within each trip I had, here are twelve (12) useful tips I would like to share with all the new travelers out there who are seeking to conquer the world! Fear is powerful! It can prevent you from growing and enjoying new things. Dare yourself every time a unique experience is on the way and try it! The places you’re planning to conquer are not uncharted territories so spread those wings and glide through every experience like an eagle! There will always be people who would help and guide you along the way, and there are trails that other people have already trod before you do. If they were able to do it the first time, you can also do the same or achieve even more. You just need to put the fear away and be brave enough to take the first step. Guidebooks should only serve one purpose; it should just provide general information about the place that you’re going to visit. Don’t travel through a new site using it as your travel Bible because if you do so, you’re up to a dull and tasteless adventure. Take time to get out of your comfort zone and start connecting with locals. Guidebooks will never provide information on new attractions, restaurants or bars which locals can inform you about. Asking for recommendations from other travelers or the hotel staff works and that’s what you need to do. Remember that people are the best resource if you want a memorable travel experience so don’t stick all the time with that guidebook that you have unless it updates in real-time with all the new stuff available in the place just like what digital devices do. Now, this does not mean that you travel on foot most of the time, it just means that you don’t need to squeeze-in 10 places to visit in 10 days because you only have that amount of time for your trip. You may have beautiful photos when you get home but what you’ll remember most are the stresses and a whirlwind of uncomfortable situations you’ve experienced along the way! In the end, you will realize that you did not enjoy because you were always in a hurry! Don’t be in a rush all the time. Take time to spend a day to relax and enjoy a single view or be in a place that you love most. Slow everything down and experience the culture and the people. It helps you find a feeling of fulfillment and sincere appreciation of the time you spent on the trip! Traveling opens a door for you to meet new friends and a lot of them along the way. Some of them you will get very close to during the trip or on your stay in a particular place which will eventually develop into a lifelong friendship. Well, it will grow into that if you did not forget to get their contact information. 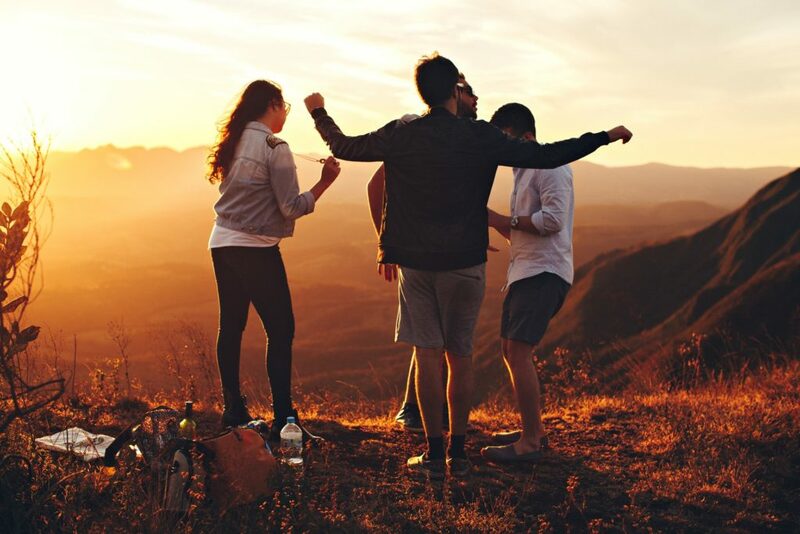 Sadly, most of us don’t remember to do this essential thing that helps us connect with the friends we’ve met during the trip, and we end up regretting it for the rest of our lives. Collect their email, Facebook information or even add them as a contact on Skype and stay in touch with them even after your trip. 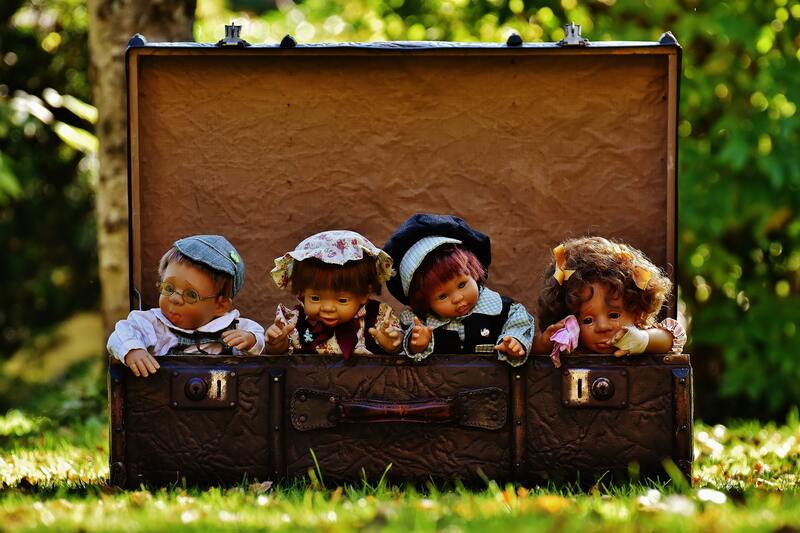 Don’t forget your new friends and let them fade into forgetfulness. Remember to get their contact information every time! There’s always much to learn from your first travel. Or if you don’t have the experience yet, you can learn a lot from other people’s first travel experience. Most people fill their bags with tons and tons of stuff. Multiple sets of clothes, hiking boots, fleece jacket and plenty of toiletries. And the result? Most of them just sat in your bag adding too much weight and taking precious space as you carried everything in the entirety of your travel. So my advice is for you to pack and travel with as little stuff as possible. Acquire a small backpack so you won’t be tempted to bring too many things which you don’t need. And in case you realize that you need something, you can pick it up and put it in your bag as you go. Experience has taught me that when it comes to packing stuff, less is always good. It doesn’t need to be your pricey thief-magnet iPhone. There are plenty of cheap phones that you’ll find along the way, and for it to work, you can buy a SIM card that works in the country. You will be meeting a lot of new friends and other people whom you need to get in touch with during most of your stay. Facebook may sound like an excellent way to communicate, but you need to remember that not all countries have access to the internet. And if you’re going to some remote area where GSM is the only available mobile signal, Facebook is never going to work! Invest in a cheap phone which will work anywhere and everywhere in the world so you can use it in every travel that you would have in the future! Trust me; you’ll never regret doing so. Going with the flow means worrying less about every detail of the travel and enjoying everything as they unfold every single day. Sticking with a strict travel plan is like being hard on yourself. And it will just result in being stressed and even exhausted at the end of each day. Don’t rush and taste the bittersweet accidents that can happen in every travel. So be sure to give place to flexibility when planning your schedule for the day. Put at least two (2) activities to accomplish during the day and let serendipity handle the rest. You’ll notice that it’s going to be less stressful and even more enjoyable! It isn’t costly to travel. If you are in Asia, you will quickly find out that you can spend as low as $15 a day. In Europe, it’ll be a bit higher at $40 a day. But no matter where you go, you will also learn that unexpected expenses can pop-out of nowhere. Always take extra money with you no matter how confident you are with your budgeting skills. Don’t wait for unexpected travel accidents to happen to you and get you off-guard. ‘To be forewarned is to be forearmed’ as they say so now that I’ve warned you about it, take all the necessary steps to be forearmed the next time you go on travel. There should be no place for shyness when you are traveling. The adage ‘No Man is an Island’ is there because it’s a big fact that all of us need to face. We need other people’s help and companionship to survive, and when it comes to travel, you need to be less concerned about what other people are thinking. Most of them are in the same boat as you are but some have already overcome shyness and are now soaring high making friends with people around them. You can do the same as well. Practice saying ‘hello’ to people you meet. It’s the first step toward conquering shyness. Put down those headphones, pay attention to the people around you and if you’re sitting beside someone, take time to say ‘hello.’ You will have nothing to lose and a lot to gain! You can make new friends, attend social gatherings or even find your self in a few weddings and the result? You’ll be a better version of your self in terms of picking up a conversation. Challenge yourself! Traveling is a chance for you to break all the barriers and finally step out of your comfort zone. Don’t be afraid to do bungee jumping, climb a cliff or jump off a boat somewhere in the Galápagos. You may scream your heart out because you were not comfortable doing it, but in the end, you’ll find out that scorpions taste good! Take risks and have the courage to try new things. That’s part of growing up and becoming a seasoned traveler. There would be times when you won’t be in the mood for a trip going to someplace during your travel. When you get to this point, don’t force your self to go. Stop and take some rest. Spend a few days in the place where you currently are and take time to recompose your self. If you still feel that you’re not in the mood to travel after doing so then don’t be afraid to pack your things up and take the road going home! There’s no reason at all to feel ashamed with that. At least you tried it and always remember that it’s okay to go home when you’re not having fun at all. Don’t keep yourself stuck in your decision to travel. You may have left your origin country alone, but in the place where you’re going to, there is a big network of travelers who are like you and others are traveling as a group. They are out there waiting to meet you at some point, so you need to make friends with them. They can give you tips, advice and they can even be a big help when you need one. You are not alone as long as you make friends with the people you meet especially those who are just like you. Trust me; you’ll be OK.
No one wants to go somewhere without knowing some necessary information about the place itself. 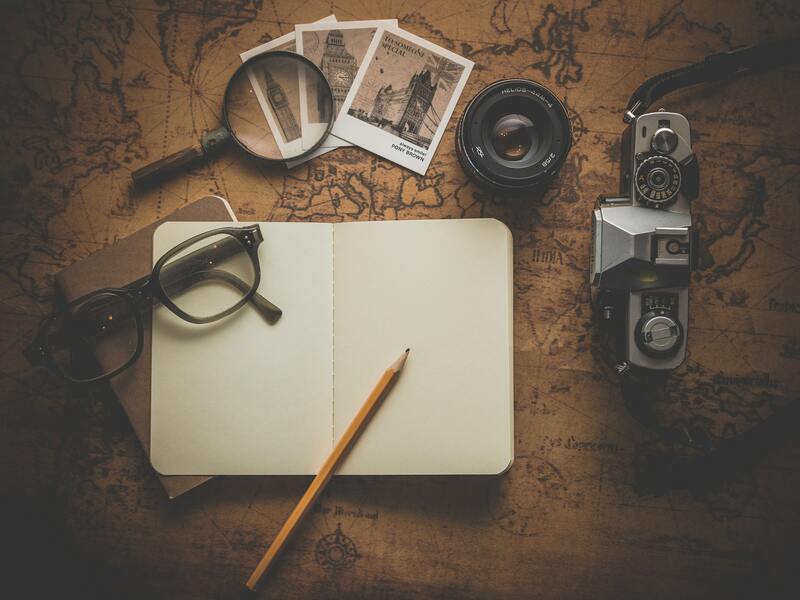 Doing research is one of the primary things a traveler must do before taking the first step. 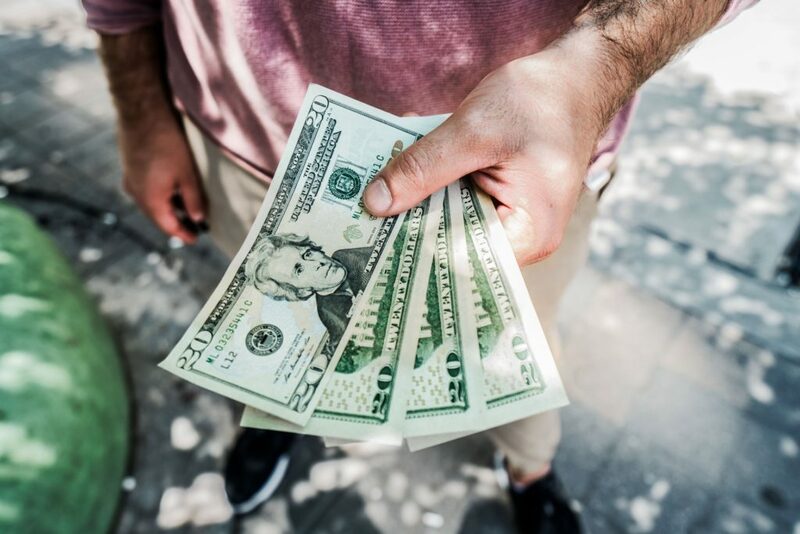 From the current exchange rate down to the basic courtesy and other essential items to remember while visiting a new territory, learning how to plan a trip to a place you know nothing about is a good thing! In the modern age in which we live in, almost everything can already be searched and learned from the Internet. 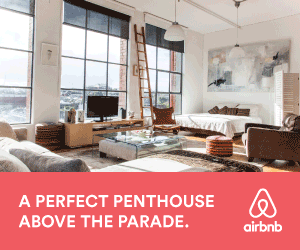 That’s exactly the first place you would need to go to before starting to plan for your trip. Open Google Search then type in the name of the country or the specific city that you want to visit and read through the sites that provide information about the place. And if you need a more reliable source of information, the best one you can get are guidebooks. While most of these have some quite outdated information, you will still get some useful information on how to get around in some areas of interest, what attractions are available and the activities that you can do in them. Other guidebooks also provide more advanced information like suggested itineraries and even maps. Guidebooks are a good foundation for your planning, and it’s better than reading through blogs since it allows you to highlight certain places. Additionally, it also provides quick access to a precious resource of information even without WiFi. Websites like Wikipedia can give some facts and other crucial information that a traveler should know about before visiting a place. But if you need more, your next stop should be travel blogs and websites. These resources can fill in the gaps that are left after you’ve done your homework with guidebooks and other sites that basic information. Most travel blogs provide up-to-date details and even real-life experiences which can help in your planning. Some even give an overview of new spots to discover and more exciting activities to do while staying you are in the place. Reading through the comments section on every blog content that is relevant to the place that you want to visit also helps since it gives answers to questions that other readers who are planning to visit the same site have asked. Doing these things will provide you with even more sense of your planned destination. Third, you need to move deeper into your research and start asking friends or other people you know who have already visited the place. There’s nothing that can beat first-hand information, so if you need more advice and tips or even suggestions on restaurants and hotels, these are your most reliable resources! You may also find someone who has family members residing or having a vacation in the place itself which is a big bonus! Just imagine having people who can show you around after landing on the spot. People you can stay with or even help you get settled on your first few days in the place! The beauty of reading through blogs is that most of them (especially the popular ones) already have a significant number of followers and readers. This group of people is also a precious resource of information since there could be some of them who have already gone to the place that you’re planning to visit. The social media pages of these travel blogs is also an excellent place to go to as you do your research. Lastly, it will also be helpful if you buy a book that tells much about the history of the place. During the planning stage, you can skim through the book itself taking only the useful information that you need and read it in more detail while you’re on travel or during a long flight. It is impossible to know a place without knowing its history so be sure to invest in a piece which you can spend your spare time reading throughout your trip going to the site itself! 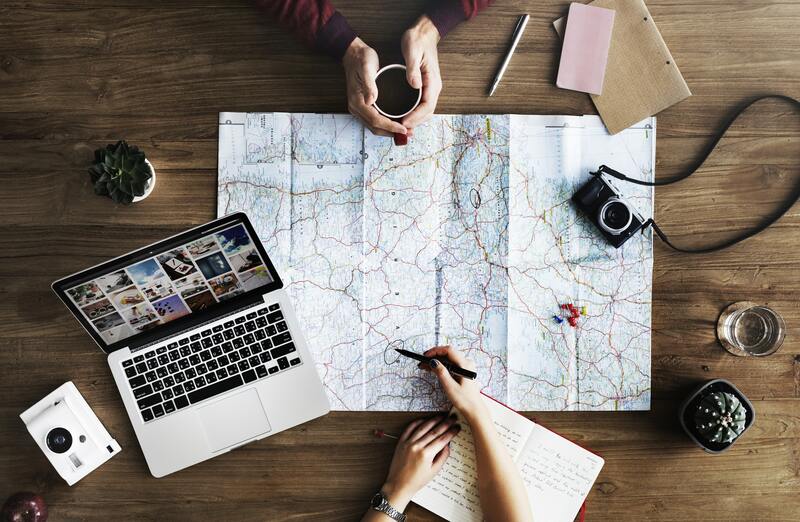 Planning for a trip to a place that you know nothing about can sound intimidating, but with proper research, you can shake all the fears and hesitations away easily. 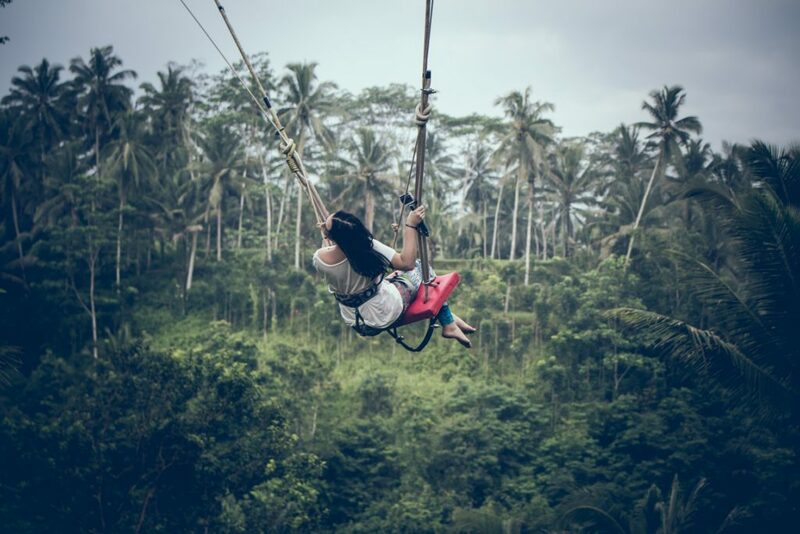 Take time to do all the five (5) steps we’ve shown above, and you’re sure to be on the way to a new and exciting adventure that’s going to produce memories all set to last a lifetime! It always feels fulfilling when you’re able to tick-off one dream destination from your bucket list. All the thrill, fun and excitement finally gets sealed in photos, captured in videos and logged into a diary that’s ready to last a lifetime. But even if you’ve been on the land of all the 195 countries in the world, you’ve only conquered at least 29% of the planet. But where is the 71% that’s missing? Well, by now, you should already have a wild guess! Yes! The big chunk that’s missing lies underneath the vast blue oceans and bodies of water that’s found all over the world. So it is safe to say that if you’ve only enjoyed the sceneries, travel spots, and tourist destinations on dry land or the surface of the great rivers and lakes, you are missing much of what this beautiful planet has to offer. Humans are built to explore the dry land. There is not a single part of the human body that can help us thrive underwater. But thankfully, with the help of modern equipment, we can now explore what’s lying below the surface of the great bodies of water that covers most of the planet, and that is through scuba diving. Unlike snorkeling, scuba diving allows you to explore the majestic beauty of marine life in different diving spots up close. Remember those high definition National Geographic undersea documentary films that you used to watch from your hotel room? 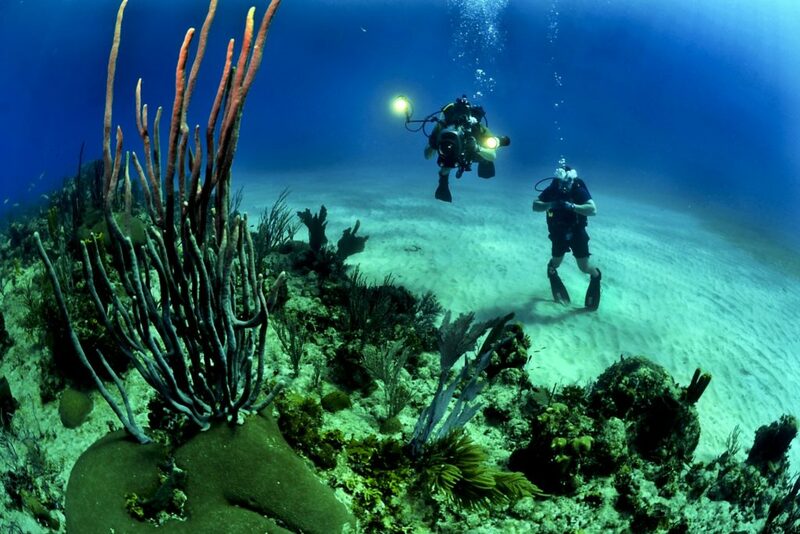 Scuba diving gives you the same feeling of awe and amazement, but this time, it’s for real! You can swim with colorful fishes and see a whole new world that’s entirely different and unique from what you’ve already seen on land! So if you’ve been doing snorkeling in your previous travels, it is time to consider scuba diving and start on a new set of bucket list exploring a whole new world full of exotic marine life and exhilarating underwater sceneries. But before you can do that, you need a PADI Open Water Certification. Scuba Diving is like driving; you first need a license or in scuba diving, a certification before you can be allowed to dive. And you can obtain such merit from the Professional Association of Diving Instructors popularly known as PADI. They’re the world leading diver training organization with 135,000 member professionals and over 6,500 dive training sites located around the world. They are also actively promoting marine wildlife and environmental awareness through actual dive training experiences and education. Once you have fixed your mind that you want to do scuba diving, you can start searching for diving lessons at your nearest PADI (Professional Association of Diving Instructors) locations and dive shops. 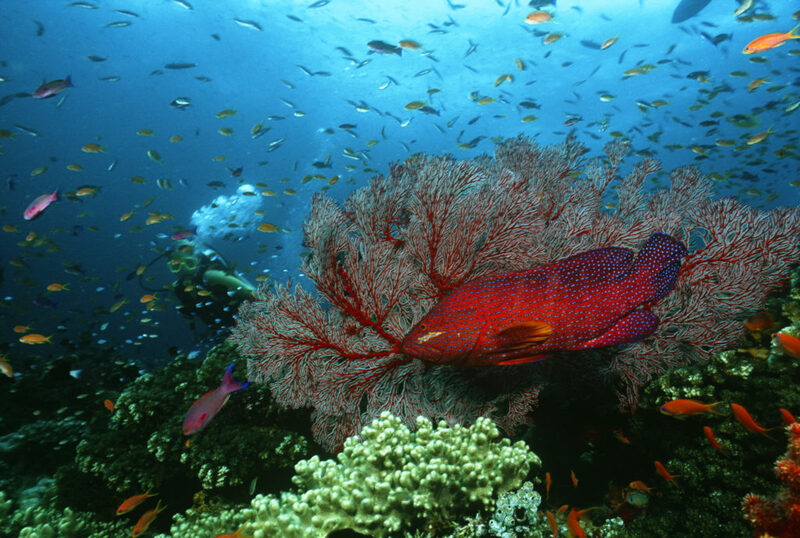 And you also have the option to combine your new interest in diving with your passion for traveling. It means that you can train in any PADI dive shop or location around the world and not just stick to the lessons near your home. Doing this will also open an opportunity for you to save on the actual cost of training since diving courses are cheaper in other locations. For instance, it is expensive in the US but less costly in South East Asian countries like Thailand, Indonesia, Philippines and in less developed countries like Mexico or Honduras. PADI is not just an organization that provides certification for aspiring divers; they also offer rich travel resource through their new travel platform PADI Travel which is global in scope. It is the perfect place to find ideal diving spots depending on your preferences and level of skills. With over 300 diving locations spread all over the world, PADI’s platform can offer information and planning for adventurers and divers seeking to achieve their travel goals. Through PADI Travel, you can find spots that allow you to stay on land and dive on a schedule during one of your trips or you can also do liveaboard. Liveaboard is for those who want to stay aboard a boat and experience the best of what diving locations can offer. You will be on the water most of the time training with the knowledgeable crew on topics about ocean conservation, local marine life and environmental conservation efforts in the area. PADI Travel offers a large selection of dive destinations with a liveaboard option available online, and it’s one of the largest in the market. Finding and booking your first diving destination is a breeze no matter where you are in the world! And with PADI Travel’s ‘search wizard’ feature, you’ll be able to quickly choose the perfect place by selecting the kind of animals that you want to see and the month when you want to travel. Do I Need to Be an Excellent Swimmer to be Allowed to Dive? Diving does not require one to be an expert swimmer. But it’s a requirement for one to be able to swim and be in good physical condition. You need to be fit enough to take on the physical challenges of swimming underwater. 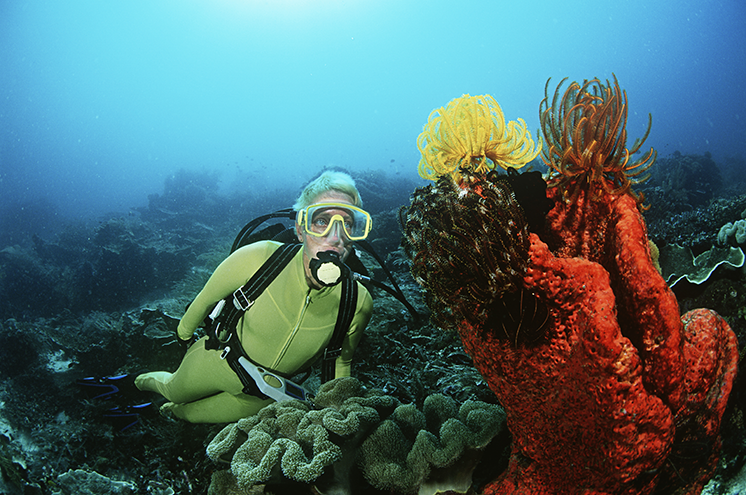 PADI’s ‘Discover Scuba Diving Program’ is an excellent first step into the world of diving. It offers training by an instructor under relatively open shallow open water. You need to be comfortable to stay underwater, and you must have necessary swimming skills to qualify for this. 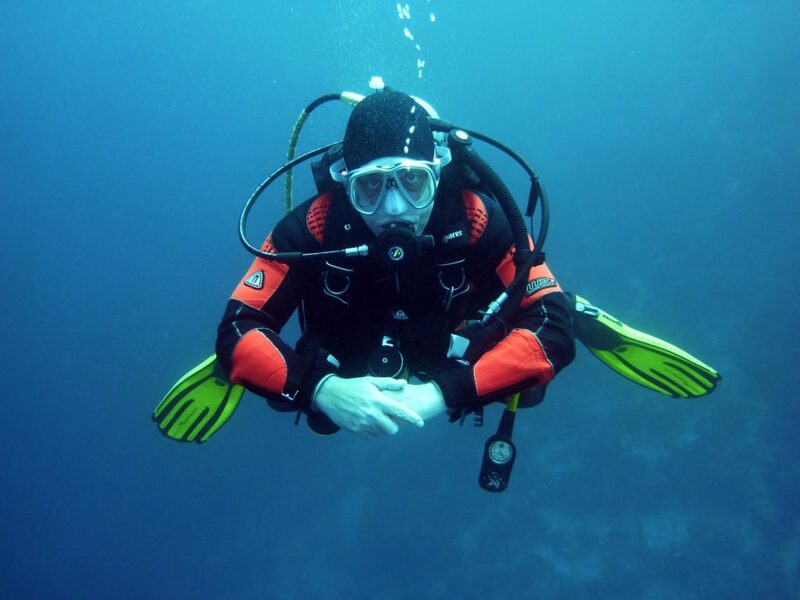 In case you want to move to a more advanced level of diving course, you can complete the PADI ‘Open Water Diver Course,’ but for this, you will need to be able to do 10 minutes of swimming or floating on the surface and as well as swim at least 300 meters with fins, snorkel/mask or 200 meters with any stroke. How About Scuba Diving Gear? Scuba requires some specialized gear, and it is one of the sport/recreation out there that needs a lot of equipment. But starting with the lessons only requires three things- a mask, snorkel, and fins. Most of the advanced gears that you’ll need like dive computers, BCD or Buoyancy Compensator Devices, and dive computers are available for rent in your nearest dive shop. But as you start to love diving and go through even more advanced courses, investing on your scuba diving gear would be a wise move. It is easy to fall in love with scuba diving, and if you think you finally are in love with the sport, you may want to take more advanced Diver Certification Courses. It takes time but all the time you would be spending will all be worth it! The PADI Open Water Diver Course takes four (4) days at most and requires one to practice diving skills both in a pool at first then on open water. Learning the basic manual knowledge of equipment uses, adjustments, and settings is also needed for more advanced courses. Most courses are flexible when it comes to learning options and progress is measured based on performance. For instance, if you need more time on a course, your instructor will first ask you to assess if you’re comfortable with it before moving forward. Some courses can even be started at home if that’s what you prefer. Your dive instructor will be with you to guide and walk you through every step and on all four (4) dive sessions needed for you to graduate. But for your safety, it is recommended that you read and study all the materials provided, and you will even be asked to complete and pass an exam. Acquiring advanced PADI Scuba Diving certifications would allow you to explore greater depths and go into places like the cenotes in Mexico. And if being a PADI instructor is your target, taking these diving courses is the way to achieve it! Scuba diving may sound complicated, but it isn’t. You only need to invest time taking the courses required and spend money on it as well. 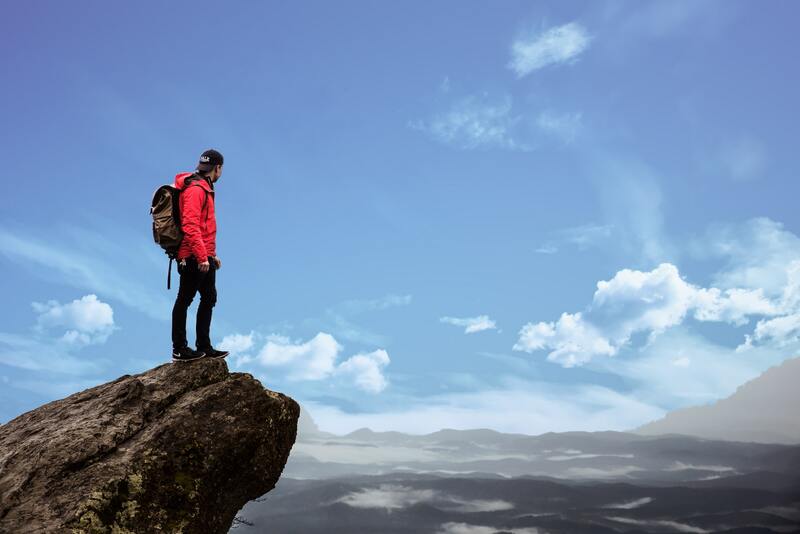 Once you get certified, you’ll then be ready to explore a whole new world and finally be able to start off with a new bucket list that’s different from the previous ones you’ve already fulfilled!